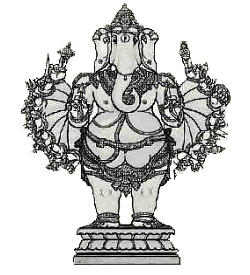 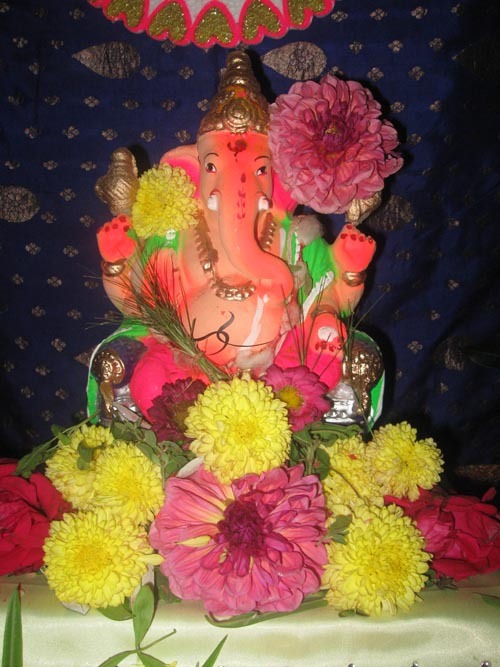 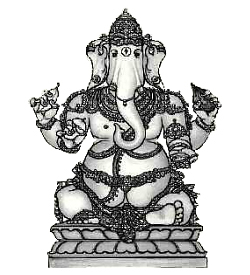 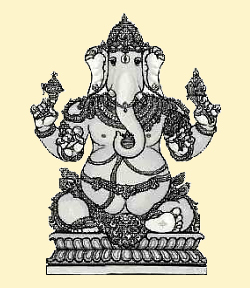 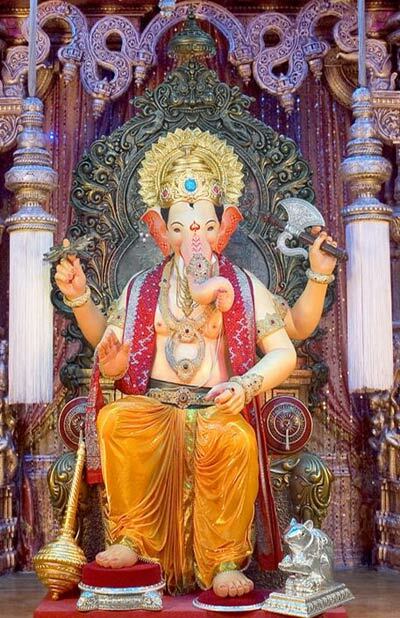 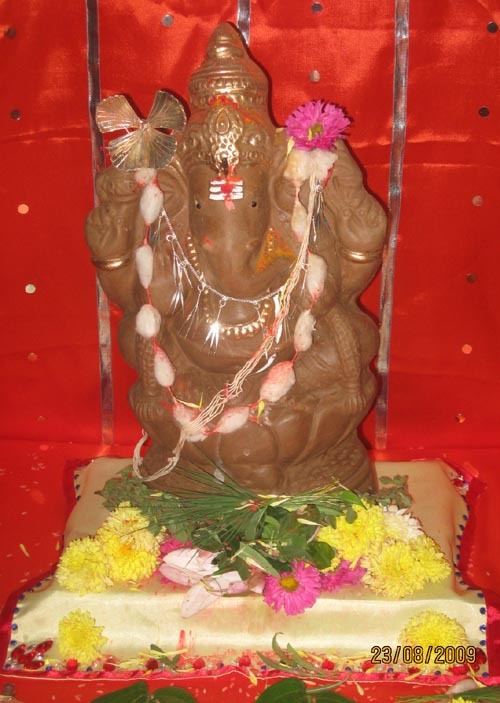 Ucchhishta Ganapati is "Lord of Blessed Offerings" and guardian of culture. 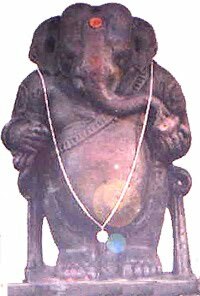 Of blue complexion and sixarmed, He sits with His Shakti, holding a vina, pomegranate, blue lotus flower, japa mala and a sprig of fresh paddy. 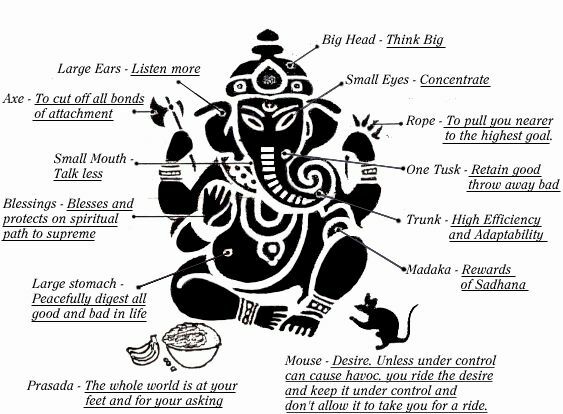 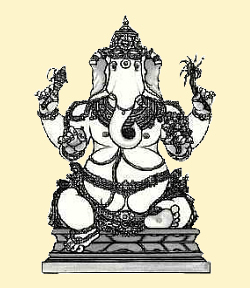 This is probably one of the best songs made on Lord Ganesha. 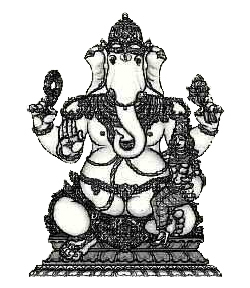 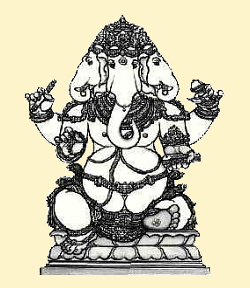 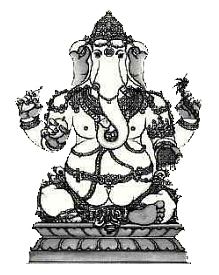 Four-armed and seated with one of His shaktis on His knee, Shakti Ganapati, "the Powerful," of orangered hue, guards the householder. 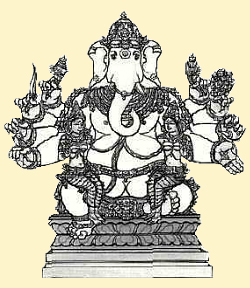 He holds a garland, noose and goad, and bestows blessings with the abhaya mudra. 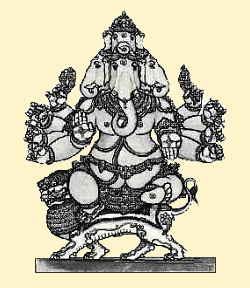 The "Valiant Warrior," Vira Ganapati, assumes a commanding pose. 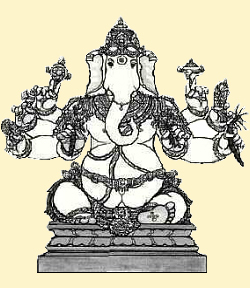 His 16 arms bristle with weapons, symbols of mind powers: a goad, discus, bow, arrow, sword, shield, spear, mace, a battleaxe, a trident and more. 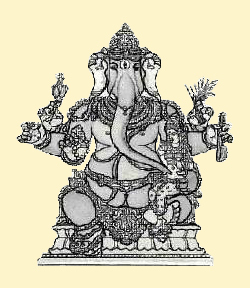 Bala Ganapati is "the Childlike" God of golden hue. 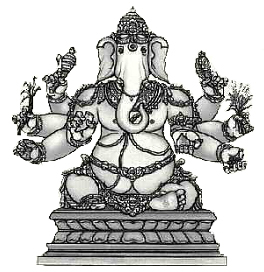 In His hands He holds a banana, mango, sugar cane and jack fruit, all representing the earth's abundance and fertility. 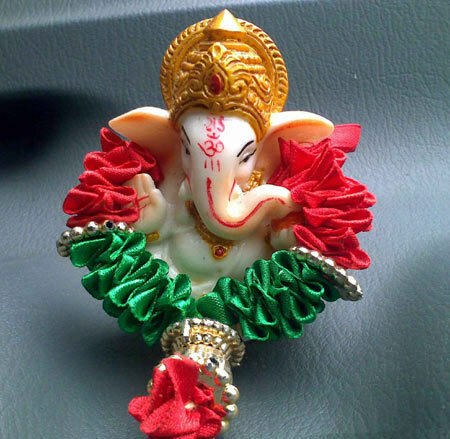 His trunk garners His favorite sweet, the modaka. 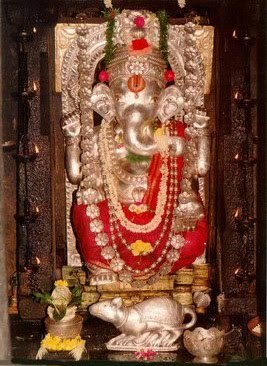 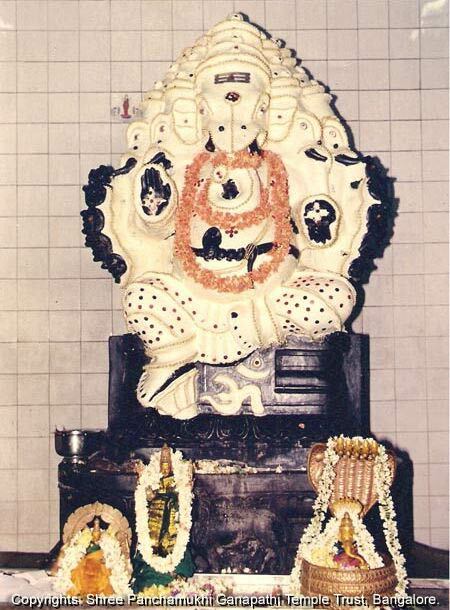 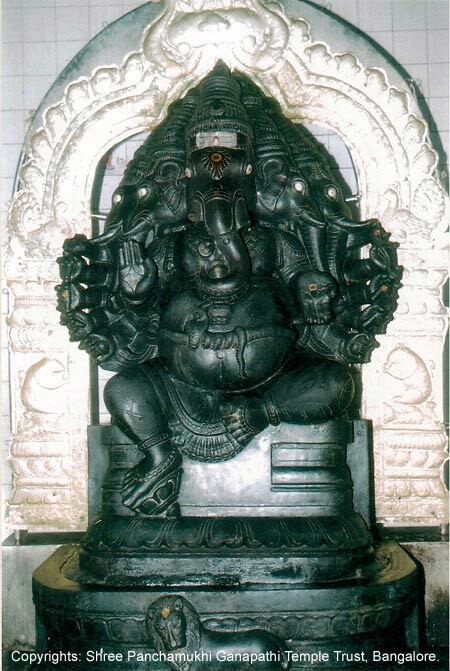 This idol is in one of the Ganesha temple in Gonnagar near Ramdurga. 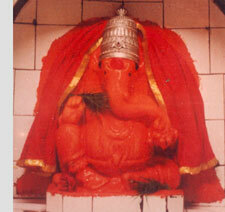 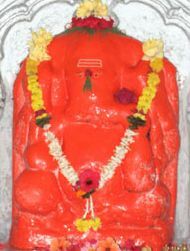 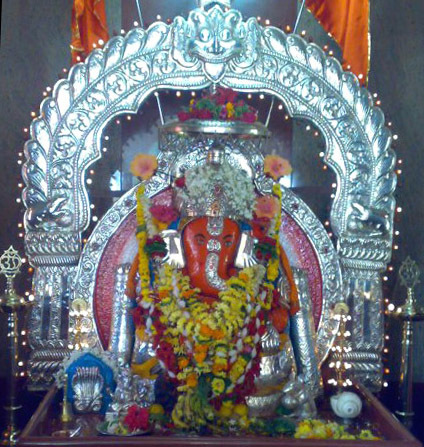 This Ganesha idol is in Gonnagar, a place near Ramdurg. 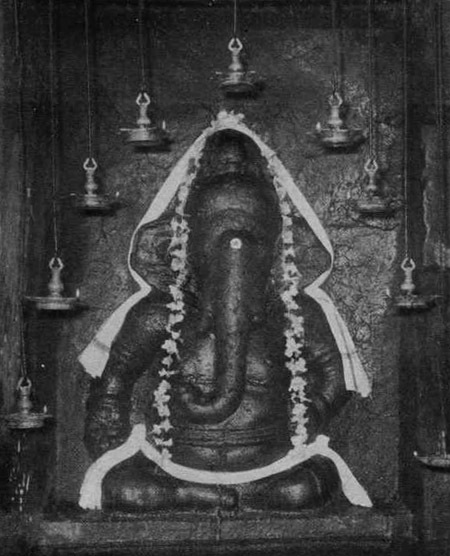 It is placed below the tree which was planted by Shri Chidambareshwara Swami about 205 years back after the completion of the great Soma Yaga. 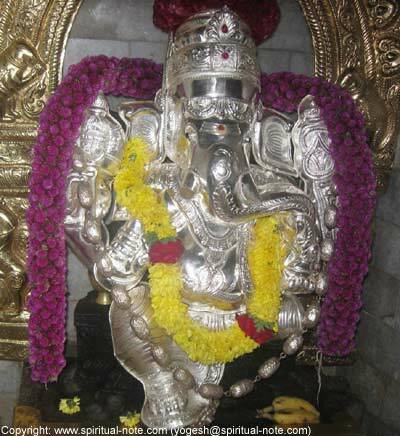 Dodda Ganesha temple is near the Bull temple in Bangalore. 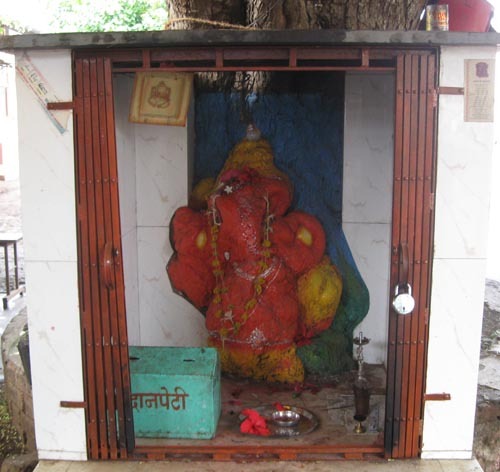 In Audumbar (near Sangli in Maharashtra, India) a Ganesh figure appeared in the trunk of a tree. 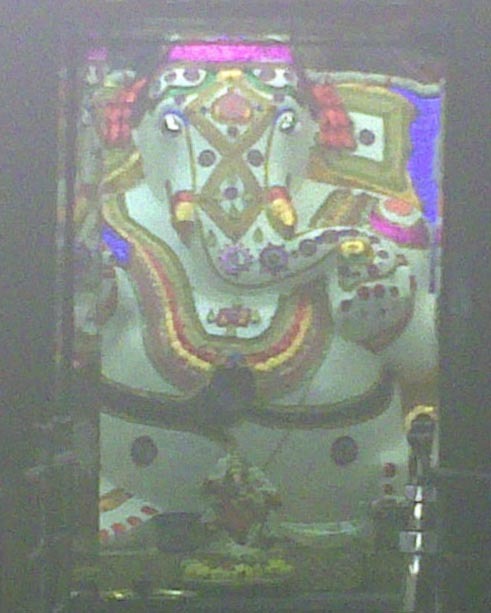 Local Ganesh devotees have built a temple around that tree.